I know this post is reallyyyyy late but I've been busy. Had a great time in Philly two weekends ago. made out pretty damn good at the table, and had a great time hanging out with everyone. 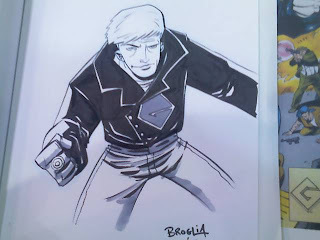 here are a couple of commission sketches i did at the con. 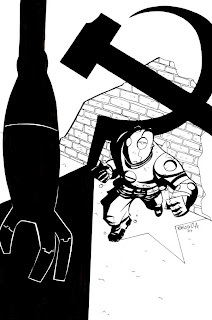 here is a pin-up i did for my buddy scott's new book, Atomic Robo. The art and storyline are kick a$$ be sure to ask your comic shop about it!